Today, an initiative that would legalize personal marijuana possession and allow regulated sales of marijuana to adults will qualify for California's November general election ballot. A win at the ballot would be a first of its kind in U.S. history. This is a remarkable moment in the struggle to change our decades-old marijuana policies. Marijuana was prohibited in 1937 before most Americans had ever heard of it. Today the U.S. leads the world in marijuana consumption. Nearly 26 million Americans used marijuana last year and more than 100 million have tried it in their lifetimes. A huge commodity of the underground economy, marijuana is the nation's top cash crop, valued at $14 billion in California alone. Our state Board of Equalization has estimated we would generate $1.4 billion a year by taxing marijuana like alcohol. Neonazicon tea partiers are repeating the violent history of the Nazi Party in Germany! Perriello's office confirmed that a line to a propane tank on a gas grill was cut at Bo Periello's Charlottesville home on Monday. Tea Party activists had posted the address online thinking it was the congressman's home, telling opponents to drop by and "express their thanks" for his vote. Albemarle County spokeswoman Lee Catlin said the county fire marshal's office was assisting the Federal Bureau of Investigation. The rights of individuals continues to be taken away in Texas! A Texas company recently took out a political ad in several local newspapers, making it one of the first corporations to do so in the wake of a landmark Supreme Court ruling that lifted restrictions on corporate political spending. The Texas Tribune reports that the company, KDR Development, paid for an ad against state Rep. Chuck Hopson, formerly a Democratic member of the state legislature who switched parties and ran in the Republican primary for re-election. The ad headline reads: "Vote for a REAL Republican," and it challenges Hopson's Republican credentials. The sponsorship line at the bottom of the ad reads: "Political advertisement paid for by KDR Development, Inc." The ads ran in the Jacksonville Daily Progress, the Tyler Morning Telegram and the Panola Watchman, small newspaper in East Texas. Im gonna have to ask LA for help! Thanks for telling me the great news about Buffy and how she is enjoying being with your family! 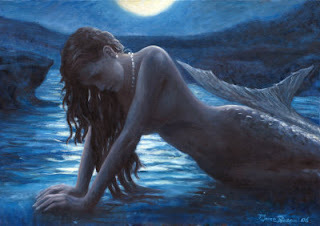 I have to buy a camera so that I can send you a pic of my honey and her tranformation into a mermaid loving the Pacific! Speaking of mermaid, the statue of one is finally now in front of our club!...i heard it cost as much as the cost of the house in the Okie Zone! Obama watched the vote in the White House's Roosevelt Room with Vice President Joe Biden and dozens of aides. When the long sought 216th vote came in — the magic number needed for passage — the room burst into applause and an exultant president exchanged a high-five with his chief of staff, Rahm Emanuel. CNN's Ed Henry, citing White House aides, reported that Obama will continue "barnstorming on health care" this week, delivering speeches outside of Washington heralding the immediate benefits of the health care bill. A clubmate of a young lifesaver who drowned at the Australian Surf Life Saving Championships on the Gold Coast has defended the decision to run the competition despite churning surf at Kurrawa Beach. Saxon Bird, 19, from the Queenscliff club in Sydney, died in hospital after being struck in the head by a surf ski during an iron man event on Friday. Close friend and senior competitor for Queenscliff, Tom Atkinson, said while conditions on Friday were "testing they were contestable". "It was suitable for racing," he told reporters on Saturday. A 19-year-old national title holding surfer has died after being hit by his own ski while competing in rough conditions off the Gold Coast. Paramedics attempted to resuscitate Australian Surf Life Saving Championships competitor Saxon Bird on Kurrawa Beach and continued CPR while he was transported to Gold Coast Hospital by ambulance. But he died in hospital on Friday afternoon, officials said. The teenager's surf ski washed onto the beach around 11.30am (AEST) on Friday during the under-19 ironman event. After an air and sea search of a one kilometre section of the beach Bird was located by a fellow life saver less than an hour later. The championships has been suspended and a decision will be made by Saturday morning on whether they continue. A strong rip is running along the water's edge about 10 metres out from the sand, with waves between 1.5 and two metres. Faux News is one of the many reasons for the decline of this country! In a rare interview with Fox News on Wednesday, President Obama predicted to host Bret Baier that Congress will soon pass the health care reform proposal that his administration has been working on for months. Thank you, LA, for the congratulations on getting my Bronze! I've been wanting this for a long time. It's almost anticlimatic now after doing it all! I bet Buffy could manage to surf on the board like another dog does down the beach! I miss her. How is she doing? I like this excerpt from the daily OM about finding happiness! Hundreds are evacuating Great Barrier Reef islands and ports, and ships are on notice amid warnings Cyclone Ului will hit the central Queensland coast this weekend. More than 300 tourists and residents are being evacuated from Heron Island, off Rockhampton, and Lady Elliot Island, off Gladstone, over the next two days. In Rockhampton, the local disaster management committee is meeting to ensure the region is prepared. Commercial shipping has been put on notice. The weather bureau expects Ului, which is currently a category four cyclone, to cross the coast somewhere between Bowen and Gladstone on Saturday or Sunday. It says the cyclone could bring swells of between eight and 10 metres, but that will depend on exactly where it hits and its intensity. Last March, cargo ship the Pacific Adventurer lost 31 containers and spilt 270,000 litres of fuel oil in rough seas whipped up by Cyclone Hamish. with the light shining between the clouds on the surfers.. as if there were pots of gold at each end! so it was almost as if God was giving us a beautiful show before the storm! Right wing religious redneck radicals are forcing their views on innocent school children! AUSTIN, Texas - A far-right faction of the Texas State Board of Education succeeded Friday in injecting conservative ideals into social studies, history and economics lessons that will be taught to millions of students for the next decade. for the separation of church and state. Curriculum standards also will describe the U.S. government as a "constitutional republic," rather than "democratic," and students will be required to study the decline in value of the U.S. dollar, including the abandonment of the gold standard. "We have been about conservatism versus liberalism," said Democrat Mavis Knight of Dallas, explaining her vote against the standards. "We have manipulated strands to insert what we want it to be in the document, regardless as to whether or not it's appropriate." Today was the best day in a long while..
it was so long since I felt so very welcome in a place.. I earned my bronze medallion finally today at the Miami Surf Club! Never have I felt stronger and more vindicated to know my abilities as a surf lifeguard! Now I can walk tall as I patrol the beach as volunteer to help save folks in trouble! The big day to get tested for my bronze medallion is tomorrow! Please, Lord, help me pass! maybe some readers could give me insight on what they might or dislike about my writing?? the latter movie showed how to win a war against overwhelming odds with the step by step strategies of chess! My realization/epiphany again is reiterated about treating life as a chess game.. I had that thought almost 20 years ago after Mom passed away and before Alene passed..
but the biggest things to look out for are emotional vampires! Now I thought again about our beautiful child and the footprints beside him! where will this flight take us?? with the ability to fly to places where they have never been..